Renovating your pool in a DIY manner may not be enough to improve its aesthetics and functionality. You need professional people like us to ensure the success of your pool improvement project. We are considered as experts in pool renovations, so we are the best people to hire for your project. We serve several Florida areas such as Longwood, Winter Park, Orlando, Altamonte Springs, Ocoee, Apopka, Clermont, and Winter Garden. Our lengthy experience in the industry is one of the reasons why we are the top choice of most property owners in Orange County and surrounding areas. The pool renovations that we have completed for clients are known for their exceptional beauty. We are able to transform their old pools into awesome spots for rest, relaxation, and outdoor activities. And aside from improving the pool's functionality, we are also experts in improving safety in the pool area. We can add new features and amenities that will make your pool more attractive, more functional, and safer. At Orange County Pools & Pavers, we have seasoned crews who can work on all kinds of pool renovations. Their portfolio of completed projects includes renovating pools for residential clients, owners of large estates, commercial property owners, and sports facilities. When you hire us, you are assured that the people working on your project are all professionals and well-experienced. Every stage of the renovation project is performed systematically to ensure smooth workflow and top-notch workmanship. Pool coping replacement. Almost all renovation projects that we handle include pool coping repair or replacement. This task is needed to avoid accidents in the pool area and to improve the aesthetic appeal of your pool. We have different designs available, so achieving your desired look will not be a problem. Pool resurfacing. Our crews are experts when it comes to pool resurfacing. We use only premium materials and proven techniques to bring back the integrity of your pool. We may also use decorative resurfacing materials to enhance its aesthetic appeal. Tile replacement and installation. Cracked or broken pool tiles are eyesores and pose safety risks to you and your family. Do not let this thing happen by calling the experts in pool renovations. 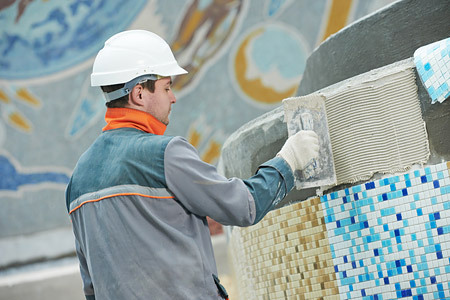 We can replace damaged tiles and even install decorative ones to make your pool more attractive. New deck installation. We can transform your pool area into a more functional space by installing a paver deck. We have completed numerous pool deck installations, so we can surely install the perfect deck for your pool. We have a great selection of premium pavers, so we can easily achieve your desired theme or design. Installation of new amenities. We highly recommend adding new features and amenities when working on pool renovations. Our usual additions include pool lighting, fire features, fountains and waterfalls, lounge chairs, shade structures, and the like. 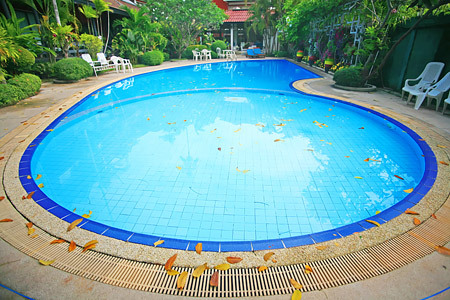 For outstanding pool renovations, hire the state's most trusted pool renovation contractor. As proof of our expertise in this field, we can show you some of our completed projects in Longwood and nearby areas. The countless clients that we have served in Orange County are more than satisfied with the results of our work. They commend us for our ability to turn their once dull and boring pools into awesome outdoor living areas. And lastly, we offer our services at client-friendly rates. Call us today at (407) 740-4179.